Audrey J. Whitson’s haunting The Death of Annie the Water Witcher by Lightning is set in western Canada’s Majestic, Alberta—a town plagued by drought and a bleak economy, hardly able to live up to its imposing name. Elderly Annie Gallagher is a longtime resident of Majestic, known for her compassion, quirkiness, and a mystical ability to divine the presence of water in parched land. 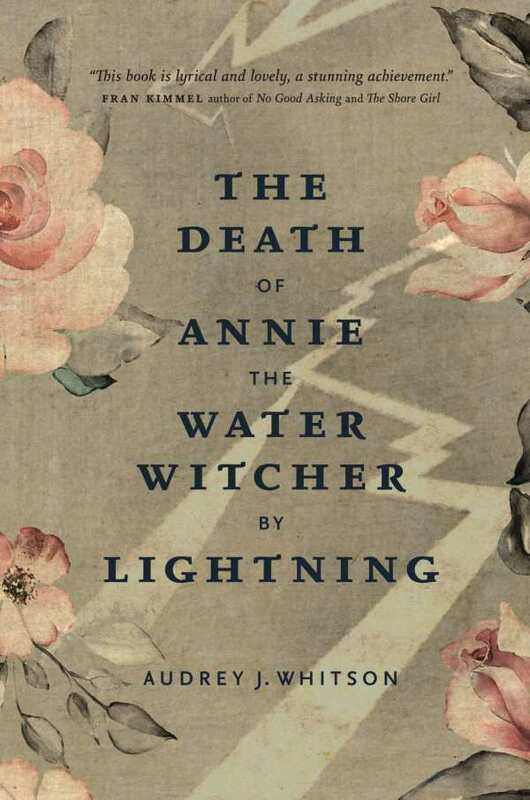 The novel begins with a windswept tempest, as Annie is struck by lightning while searching—or “witching”—for water during a thunderstorm. The frail yet feisty Annie is rushed to the local hospital, but she is cannot be saved. Word of her passing spreads through Majestic, and Annie’s friends and lovers gather to prepare for her funeral. Through a shifting narrative, Annie’s life is reflected upon by those who knew her, with her own eloquent spirit-voice joining the others as her story is told. Annie’s childhood was shadowed by her mother’s absence and her father’s alcoholism, and she was also unusually beautiful—a gift that attracted more trouble than opportunity. These same voices offer a portrait of Majestic, including the previous power of the Catholic Church there to twist the minds and fates of the innocent. Despite its unfortunate past and present, Majestic is depicted with poetic complexity. Annie’s friends have a salt-of-the-earth goodness, and Annie herself is a faceted, compelling woman who emerges from personal darkness to find her own peace. Her passing brings closure to a shameful chapter in the town’s history, and there is a sense that as long as the people of Majestic continue to reach out and care for each other, the future has promise, and “Saint Annie’s” miracles will continue.